In these Terms, references to we or us are to Direct Wines Limited (trading as Laithwaite's Wine), a company incorporated in England and Wales (registered number 1095091) whose registered office is at One Waterside Drive, Arlington Business Park, Theale, Reading, Berkshire, RG7 4SW. Our registered VAT number is GB 823825133. The placing of an order anywhere on our Sites does not constitute a contract. Order acceptance and the contract between you and us will only be formed on the despatch to you of the product(s) ordered unless we have notified you that we do not accept your order, or you have cancelled it in accordance with the instructions set out in the Cancellations, Replacements and Refunds section below. For the avoidance of doubt, a contract is not formed at the point in time that payment has been taken from you by Direct Wines (t/a Laithwaite's Wine) nor at the point when you receive an email from Direct Wines (t/a Laithwaite's Wine) acknowledging receipt of your order. We reserve the right to alter prices without notice in the event of major currency fluctuations, changes in the rate of duty, VAT or other taxes or import tariffs (including but not limited to the imposition of any new or replacement duty or tariff by the WTO or any other competent authority domestic or international) or other market conditions. We also reserve the right to terminate any special offer at any time, without notice. We deliver throughout the UK except for the Channel Islands and BFPO addresses. Various delivery times are available for you to select when you place an order. For further details of these delivery options and prices for delivery please go to the Delivery Information section of our Site. Details of options available will also be provided at the time of placing your order. We reserve the right to restrict deliveries or to withdraw services to individual customers' addresses if you are repeatedly unavailable to take delivery of your order or in other exceptional circumstances. 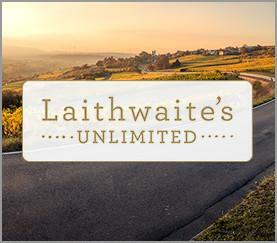 If you have a Laithwaite's Unlimited subscription, please see the Laithwaite's Unlimited Terms and Conditions. Free delivery applies within the UK when your purchase includes any 18 (or more) bottles, magnums or half bottles in a single order and is for our standard delivery service to a single UK address only. Please note that: (i) free bottles count toward the bottle threshold; however (ii) sundries (e.g. tea, bottle openers, glasses or other merchandise), bottle gift sets including sundries and an advent calendar of itself do/does not count towards the bottle threshold, but will be delivered free if the relevant order includes 18 (or more) bottles. 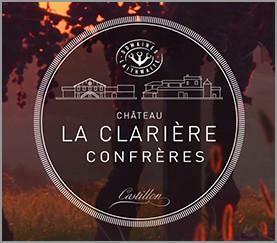 Offer of free delivery does not apply to Wine Plan or En Primeur orders. Regardless of the number of bottles ordered, if you request our named day or timed delivery services, you will be charged the rate displayed in the Delivery Information section of our Site. Please let us know if you wish to cancel an order by contacting our Customer Services team using one of the methods in the Contact Us section below. If you are e-mailing us or writing to us please include details of your order to help us identify it. Alternatively please complete the cancellation form on our Site. If you don't enjoy any of the wines or suspect that they may be faulty please contact our Customer Services team using one of the methods in the Contact Us section below and one of our wine advisers will be more than happy to assist. This Quality Guarantee is in addition to, and does not affect, your legal rights in respect of any of our products or services (for example, if any of our products are not of satisfactory quality). In particular, we are under a legal duty to supply goods that are in conformity with this contract. You have certain legal remedies if we breach these rights. For more information about your legal rights, please contact your local Citizens Advice Service or Trading Standards Service. To exercise your legal rights, please contact our Customer Services team using one of the methods in the Contact Us section below. If you have any questions about any aspect of site security please contact us at: customerservice@laithwaites.co.uk. Unless otherwise stated, voucher codes are only to be used once by new customers who are 18 years or over on their first purchase. You are not entitled to any further introductory vouchers or other introductory offers from Direct Wines (t/a Laithwaite's Wine) or any affiliates. Vouchers are non-transferable, may not be sold at auction and have no cash alternative. Where a voucher is used in breach of the above conditions we reserve the right to refuse to supply wines to you or to make a charge equivalent to the value of the voucher against the payment card used on the contravening order or take steps to redeem the products as we deem appropriate. A charge may be made to cover the cost of recovery of the products. If you are a corporate partner or would like to hear about corporate partner opportunities, please contact us on 03330 148206 or wineforbusiness@laithwaiteswine.com. It is against the law for any person under the age of 18 to buy, or attempt to buy intoxicating liquor or for any person over the age of 18 to buy or attempt to buy intoxicating liquor for any person under the age of 18. Direct Wines (t/a Laithwaite's Wine) is committed to upholding its legal and social obligations as a retailer of intoxicating liquor. By placing an order you confirm that you and the recipient of the wine are at least 18 years old. If our couriers are in doubt of the age of the recipient of an order they will request some form of ID. In the event that this is not satisfied they are not permitted to leave the wine. You agree to use the Sites only for lawful purposes and in a way which does not infringe the rights of anyone else or restrict or inhibit anyone else's use and enjoyment of the Sites. You will notify us immediately of any changes to the personal information by updating your details within the My Details section within your online account or by contacting us using the contact details below. All present and future copyright, design rights, unregistered designs, database rights, registered and unregistered trade marks (including the Laithwaite's Wine trade mark) and any other present and future intellectual property rights and rights in the nature of intellectual property rights existing in and to the Sites including content published on them such as text, graphics, logos, banners, images, buttons, underlying source code and software, are owned by us or the applicable licensor. Nothing in these Terms shall be construed as an assignment to you of any such intellectual property rights. You may post reviews, ratings, messages, comments and other content which may be disclosed, submitted or offered to us on or through the Sites or otherwise (Submissions). If you order a Laithwaite's membership, these terms and conditions and our Standard Terms apply. Laithwaite's Unlimited: for any order of 6 bottles or more, including Wine Plan cases, there is no delivery charge, and you can upgrade to our next day or named day delivery service for no additional charge. You can also send wine as gifts (provided that recipients are 18 years or over) by using up to 20 different delivery addresses. You will also receive free delivery on any product you purchase from our gifts range, as well as a free bottle of wine with every order you place at one of our events. You will also have access to a limited number of tickets to some of our nationwide events at a 20% discount against the full ticket price (when purchased directly from us) and a direct line to our Unlimited team. You may also receive exclusive offers from time to time; these will be sent (at our discretion) by mail, by e-mail, SMS and, occasionally, these will be communicated to you by telephone. If you have opted out of receiving marketing communications through any of these channels, you may not receive the exclusive offers. order 12 or more bottles of En Primeur wine, we will send you your free-of-charge bottles of the type referred to above shortly after accepting your En Primeur order. 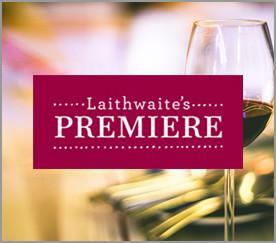 Laithwaite's Gold: you will receive the benefits of both Unlimited membership and Premiere membership as described above. This type of membership is not available to new joiners. Membership is only available to customers aged 18 years or older and is not available for corporate customers. You must also have an account with Laithwaite's Wine to sign up for and use any of our memberships. These memberships only apply to deliveries in the UK (excluding Channel Islands and BFPO addresses). Please refer to the Delivery section of our website for details of the delivery options we offer. At the end of each year of your membership, we will automatically renew your membership for another year. We will remind you of this before the expiry of your membership year and you can notify us at any time that you do not want such renewal to happen by calling us on 03330 148 198 or emailing us at customerservice@laithwaites.co.uk. Unless you provide such notification, you authorise us to collect the annual membership fee (as notified to you in our renewal reminder) from the credit or debit card registered with your account on expiry of each membership year. however, if you purchased an Unlimited membership but did not place an order for products at the same time, you must notify us of cancellation within 14 days of us confirming your membership. any reduction in the value of any free bottles provided prior to cancellation that you have handled in a way which would not be permitted in a shop (for example, by opening them, consuming them or removing a seal). You can also cancel your membership at any time and receive a full refund for the membership fee paid for the current membership year (if applicable), provided you have not used or benefitted from your membership (i.e. received any of the membership benefits, such as free delivery and/or free bottles of wine) in the current membership year. Please note that this cancellation right is separate to the cancellation right under the Consumer Contracts (Information, Cancellation and Additional Charges) Regulations 2013. You can cancel by calling us on 03330 148 198, emailing us at customerservice@laithwaites.co.uk, by using the contact us page on the website (available here) or by completing the Cancellation Form on our website. If we terminate your membership for any of the above reasons, we will retain the price paid for your membership as compensation. If we cease offering any type of membership and do not replace it with a different type of membership in accordance the paragraph below, we will write to you at least 1 month prior to the end of your current membership year to inform you that we will not be renewing your membership. If we replace any type of membership with a different type of membership which offers benefits of equivalent or greater value, we will write to inform you that we will be changing your membership type. We will give you at least 1 month’s notice before such change comes into effect. If you do not wish to accept such change, please tell us and we will cancel your membership. If you cancel and the change comes into effect part of the way through your membership year, we will give you a pro rata refund of the membership fee you paid. If we amend these terms and conditions (including to make changes to the membership benefits or to increase membership fees) further to the general section of our Standard Terms, the changes will come into effect when your membership automatically renews and not before. Your continued membership after the renewal date constitutes acceptance of the changes. If you do not agree to such changes, please tell us that you do not want your membership to automatically renew. If you join a Wine/Spirit Plan, these terms and conditions and our Standard Terms apply. (unless you cancel or delay your Plan) a case at regular intervals (most are every 12 weeks but the intervals can vary between 4, 8 or 12 weeks as you wish and some are annual). Except for annual Plans we may also send you an extra case at Christmas, if you become eligible – we will let you know beforehand if so. We will charge you for each case you receive after the introductory case based on the applicable price (as set out in the table below) plus our standard delivery fee, as set out on the Delivery Information page. By requesting to join a Plan, you authorise us to deduct such subsequent amounts from the credit or debit card that you used to pay for the introductory case. Informative tasting notes are usually included in each case but occasionally these may be posted to you separately or made available online. We will usually give you details of the next case in the immediately previous case or, occasionally, by post if that has not been possible. You will also be able to review the forthcoming case online. You can also notify us if you would like to receive this information by email. If you are a Premiere customer when you join a Wine/Spirit Plan, you will not receive your Premiere bottles with your introductory case but will receive such bottles with every subsequent 12 bottle case that you receive as part of the Plan. 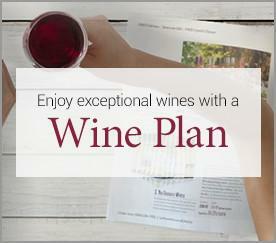 By accessing your Plan online in your Laithwaite’s account or by calling us on 03330 148 149. Please note that cancellations can only be made by phone. If (whether before or after cancelling a Plan) you have received a case that you wish to cancel, you may cancel that case in accordance with the Cancellation section of our Standard Terms. From time to time we may make changes to these terms and conditions, including the prices for each Wine/Spirit Plan case, or we may cease offering a type of Plan and transition you onto a new type of Plan if relevant. We will let you know in writing and a reasonable time in advance of making any such changes. If you are unhappy with such changes, you can cancel your Wine/Spirit Plan in accordance with this section 4. If you do not cancel your Wine/Spirit Plan, the changes will come into effect starting with the next case of wine which you receive. En Primeur is the term for buying wines as futures. That is, buying wines before they are bottled and released onto the market. Depending on the wine region, wines can be delivered at any time from one month to 2 - 3 years after the wines are offered. In the event that a wine is unavailable for reasons beyond our control, our liability will be limited to payments made in respect of the order affected. A description of the wines and prices are set out in the brochure and are correct at the time of publication. Errors and omissions are excepted. Our En Primeur prices are the 'in bond' cost (i.e. exclusive of UK duty and VAT). No discount or vouchers shall apply to En Primeur wines. Customers may order En Primeur wines by calling our Fine Wine Team on 03330 148 202 or by emailing finewine@laithwaiteswine.com. (ii) to pay the UK duty and VAT and store it Duty Paid. When we receive your order we will send you a Reservation Certificate to the address provided by you. You will not receive any wine at this time. However, should you be a Premiere member and order 12 or more bottles, we will send you your usual complimentary bottle(s). Your En Primeur order is an offer to buy from us. A contract is not formed until we accept your order which takes place when we invoice you for the wines at the En Primeur price. We reserve the right to cancel orders if we have not received payment within 14 days of the due date. All wines or other goods remain the property of Laithwaite's Wine (part of Direct Wines Ltd) or its associates until payment is received in full (in cash or cleared funds). You may resell the Wine but will account for the sale if so required by Laithwaite's Wine and if title to the Wine has not passed to you then prior to such sale you must notify the purchaser of these Terms relating to the title to the Wine. Should you resell the Wine prior to its arrival in the UK, you must ensure that you pass on any notifications you receive from us to the purchaser. However, you will remain liable for any outstanding payments. All wines are insured by us at the original invoice value until your delivery and or storage instructions have been completed. We can store your wine (both duty paid' or in bond') in ideal, long-term cellar conditions. Our storage charge is currently £10.80 per case per year. Please contact us for further details. If you do not contact us with instructions within 6 weeks of your wines being ready, we will place the wines into bonded storage on your behalf and at your cost. The credit or debit card that you used to make the first payment for the wines will be charged the applicable storage fee. It is your responsibility to keep us informed of any changes of address and other contract details in order to maintain any reservations you may have with us. should this ticket be re-sold or transferred for profit or commercial gain by anyone other than Laithwaite's Wine, it will become voidable and the holder may be refused entry to, or ejected from, the venue. Personal arrangements including travel, accommodation or hospitality relating to the event which have been arranged by you are at your own risk. Laithwaite's Wine shall not be liable for you for any loss of enjoyment or wasted expenditure. You or anybody you buy wine for must be 18 years or over. All goods are subject to availability. Prices and special offers are valid only for the duration of the featured event unless otherwise stated, or while stocks last. All offers (including free delivery) are limited to one per household per offer. Laithwaite's Wine reserves the right to alter prices and cancel, modify or supersede any promotion without notice. You must order at least 6 bottles at the event to qualify for free delivery. Please see order form at the event for specific offer terms. Laithwaite's Wine part of Direct Wines Ltd. Registered in England and Wales. Registered Number 1095091. One Waterside Drive, Arlington Business Park, Theale, Berkshire, RG7 4SW. Unless otherwise stated, the prize draw or competition is run by Direct Wines Limited (trading as Laithwaite's Wine) of One Waterside Drive, Arlington Business Park, Theale, Berkshire, RG7 4SW (the "Promoter"). The prize is stated on each individual prize draw or competition (a Promotion'). Any Promotions run on Twitter or Facebook shall be announced on our Twitter or Facebook page within 7 days of the closing date of the Promotion. The list of winners' names may be obtained by sending a stamped addressed envelope to Laithwaite's Wine Prize Draws and Competitions at the address set out in paragraph 1 within 1 month of the closing date. If you subscribe to Laithwaite’s Wine Rewards, these terms and conditions and our Standard Terms apply. Laithwaite’s Wine Rewards is a way for you to spread the cost of your wine across monthly payments of an amount of your choosing. 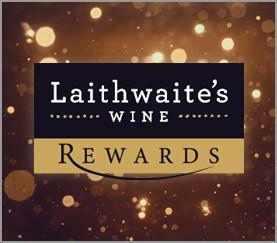 When you join Laithwaite’s Wine Rewards, you will select an amount that you wish to pay into your account every month. You can select £30, £40 or £50 when joining or, if you join by purchasing a Wine Rewards introductory case, a default payment of £30 will apply. You can increase this to a maximum payment of £250 and decrease to a minimum payment of £20 every month (but payments must be in increments of £5). By joining you authorise us to collect these monthly payments from the credit or debit card you used to make the initial payment. You can use the funds in your account at any time when you buy almost all of our products or services, online or by telephone. Currently you cannot pay for Wine Plan cases with Wine Rewards funds. If you do not have enough funds in your account, or you do not wish to spend them all, you can make a purchase using a mix of funds in your account and using your credit or debit card, paypal account or any Laithwaite’s vouchers you may have. Please note that there may be certain restrictions on using your Laithwaite’s Wine Rewards funds to pay for the first and any subsequent instalments on certain products and services that require ongoing payments (such as Wine Plan cases, En Primeur and other pre-sell products and our wine storage charges). By joining Laithwaite’s Wine Rewards, you will spread the cost of your wine across monthly payments of an amount of your choosing. (ii) on every order of 12 (75cl) or more bottles of wine, free standard delivery (which is normally subject to a £7.99 charge). Please note that we deliver only in the UK (excluding the Channel Islands and BFPO). You may only use up to 20 different delivery addresses in relation to these benefits. As long as you continue to make payments into your Laithwaite’s Wine Rewards account, these benefits will apply whether or not you choose to pay for the order using the funds in your account (i.e. even if you choose to pay by credit or debit card, you will still get the benefits). Laithwaite’s Wine Rewards is only available to customers aged 18 years or older and is not available for corporate customers. If you use your funds to make purchases of your choosing, in addition to these terms, our Standard Terms apply. We will send you updates from time to time if you have unspent funds in your account. We will contact you by writing to the email address and/or physical address that you have provided us with. If you have not spent your funds in 2 years and you are no longer an active subscriber, we will write to you to notify you of the unspent balance. We will make follow-up contact by telephone (where you have given us your telephone number) and again in writing. We will send a final letter by recorded delivery. If you have not spent the outstanding balance within 3 months of the date of the letter sent to you by recorded delivery, you authorise us to treat such funds as abandoned and you agree that we shall have no further liability to you. You can cancel your membership at any time by calling us on 03330 148 168 or using the Contact Us form available on our website (found here). ask us to return any funds in your account to you immediately. We shall return any balance to you by crediting the card which you used to pay in funds to your Laithwaite’s Wine Rewards account. If we terminate your membership for any of the above reasons, we will return any balance in your Laithwaite’s Wine Rewards account to you. We shall do so by refunding the card which you used to pay in funds to your Laithwaite’s Wine Rewards account. If we cease offering Laithwaite’s Wine Rewards and do not replace it with a different type of membership in accordance with the paragraph below, we will write to you at least 1 month prior to the cessation date and will return any balance in your Laithwaite’s Wine Rewards account to you shortly after the cessation date. We shall do so by refunding the card which you used to pay in funds to your Laithwaite’s Wine Rewards account. If we replace Laithwaite’s Wine Rewards with a different type of membership which offers benefits of equivalent or greater value, we will write to inform you that we will be changing your membership type. We will give you at least 1 month’s notice before such change comes into effect. If you do not wish to accept such change, please tell us and we will cancel your regular payments. If we amend these terms and conditions (including to make changes to the membership benefits) further to the general section of our Standard Terms, we will notify you when the changes come into effect. Your continued payments after that date constitutes acceptance of the changes. If you do not agree to such changes, please tell us that you want to terminate your payments.